In the interaction of metal surface with moisture on them is rust. Most often such exposures are Nickel-plated taps and chrome surfaces. From rust suffers a plumbing, outdoor furniture, cars, garden tools. 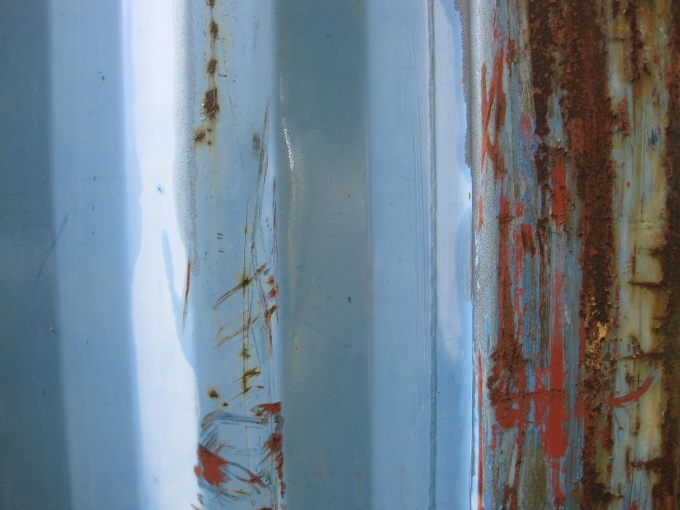 You need to remove the rust as soon in order not to allow the spread of the process of corrosion of the metal. To fight rust, you can choose the tool in specialized stores. Today offered a fairly wide range of effective means to remove rust. The composition of these agents contain abrasives that break down molecules of rust, acid and detergent additives. There are a large number of popular recipes for the removal of rust stains. A good way to remove rust from the surface of the plumbing in the home is heated vinegar, to which is added a pinch of cooking soda. Carefully treat the rusty spots like this mixture, then wipe the surface dry with a clean cloth. Try also to lubricate the rust spot with grease, leave for a week, then wipe off the grease and rust with a cloth soaked in ammonia. Rust spots appeared on enamel or earthenware can be removed with a mixture of hydrogen peroxide and ammonia in the ratio of 1 to 10. For cleaning of sinks, baths, taps and valves use soda solution. Two tablespoons of baking soda dissolve in a liter of hot water, treat the surfaces and rinse with clean water. To prevent rust on chrome surface try to use the following method: treat the surface with a clean fish oil, and leave to dry for two weeks. Then repeat and after 2 weeks, wipe the surface with gasoline. This method will prevent the formation of rust on the surface. The stain of rust from clothes, you can lemon juice. Wrap in a piece of gauze, a slice of lemon, apply to the stain and cauterized with a hot iron. If you use this method for cleaning white fabrics, then pre-treated area, apply hydrogen peroxide. There is another method of removing rust stains from clothes - 2 tablespoons of warmed vinegar to dissolve in a glass of water, place the cloth with the stain in the solution, wait a bit, and then rinse in a weak solution of ammonia.